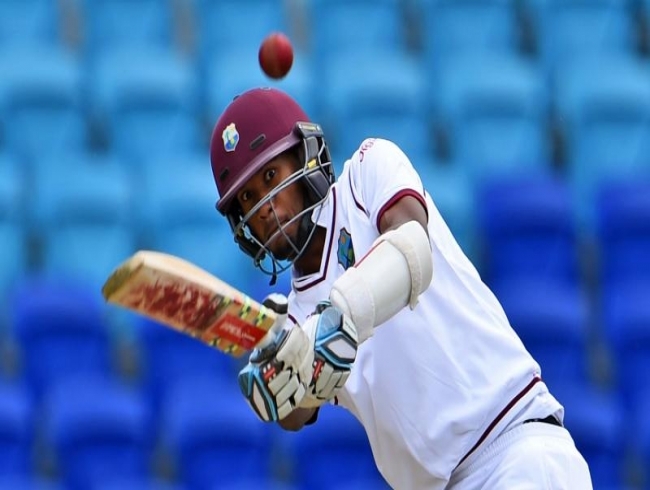 St. Lucia: West Indies opener Kraigg Brathwaite will captain the team in place of the suspended Jason Holder when they face England in the third and final Test starting in St Lucia on Saturday, Cricket West Indies said. Brathwaite previously skippered West Indies in their series defeat by Bangladesh in November when Holder was injured. “With Jason Holder missing out on the last test, Kraigg Brathwaite will take the reins of captaincy,” chairman of selectors, Courtney Browne said. The selectors added pace bowler Keemo Paul to the 14-member squad while Alzarri Joseph, whose mother died during the second Test, was also included. “Our heartfelt condolences to Alzarri and his family on the passing of his mother. His heroics in the Test were outstanding and shows a player of great character,” Browne added. Squad: Kraigg Brathwaite (captain), Darren Bravo, Shamarh Brooks, John Campbell, Roston Chase, Shane Dowrich, Shannon Gabriel, Shimron Hetmyer, Shai Hope, Alzarri Joseph, Keemo Paul, Kemar Roach, Oshane Thomas, Jomel Warrican.